Greg Short is a singer, songwriter, and 12 string guitarist hailing from northcentral West Virginia. 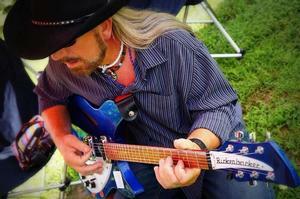 He has been performing live shows for over 20 years in the WV-PA-MD tri state area as well as recent tours in the Sarasota/Bradenton, FL area, and is well known for his widely diverse sound, which includes offerings from classic rock, blues, and country (old and new)--along with many of his original songs. Greg has shared the studio and stage with his sons, brothers, and several friends over the years through many projects including the Short Brothers Band, the Brother Short Band, and the Short Brothers acoustic show.